Imagine being within walking distance of countless activities & amenities, including recreational facilities. Hours of operation vary between buildings & businesses. Scroll to the bottom of this web page for this information. 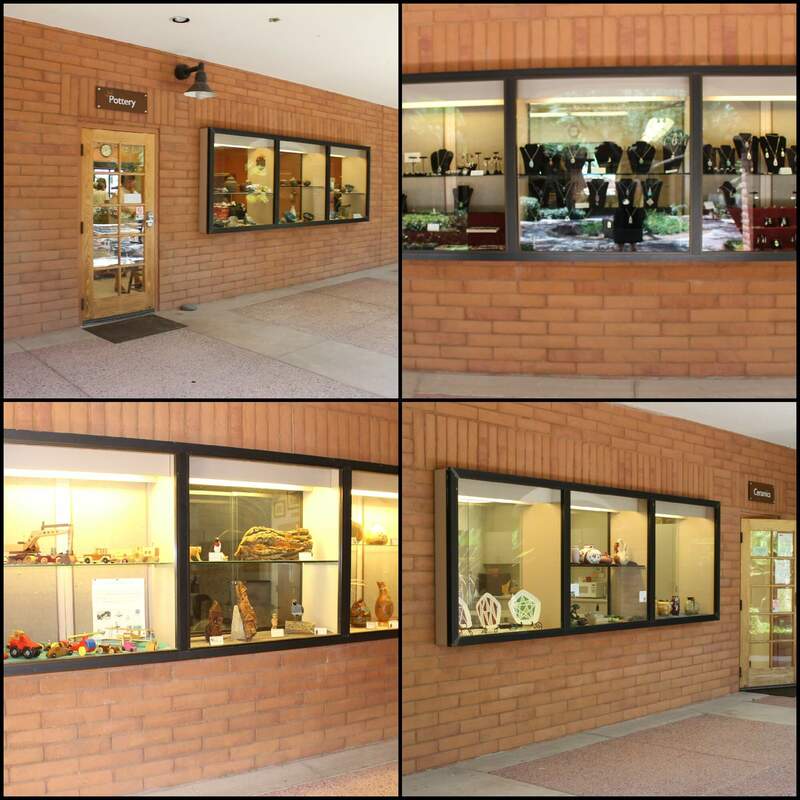 Administration/Welcome Center business hours are Monday – Friday 7:30 AM – 4:30 PM. You’ll find a wide range of our resident artists’ and artisans’ work in our gift shop. 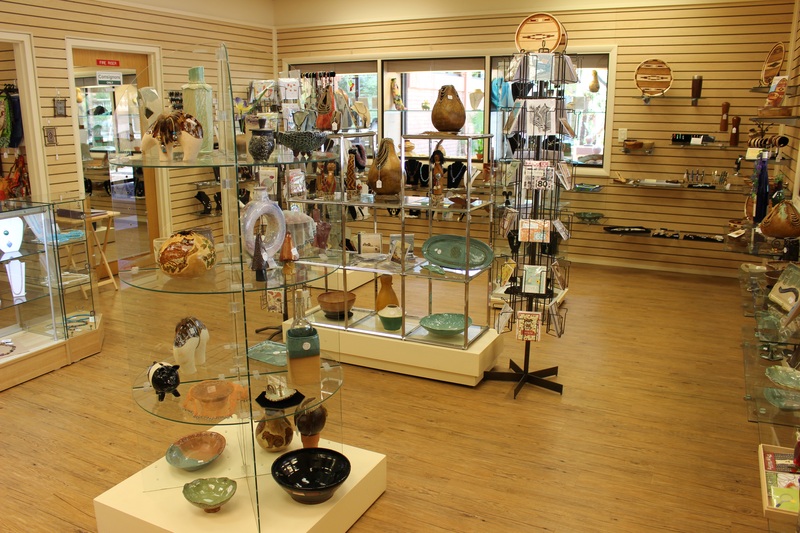 From art in various media, jewelry, glasswork, pottery, sculpture, woodcrafts, clothing and more, you’ll find unique gift items throughout the store. Just click on a photo or name below to learn more. The 12,000-square-foot facility features 43 cardio and weight machines as well as free weights. Two studio rooms provide several variations of classes, including yoga, Zumba, karate, and more. Enjoy a casual or competitive game of bocce with family or friends on one on four new courts. Each court is lighted with covered benches on both ends. Our Bocce Club plays Mondays, Wednesdays and Fridays and always welcomes new players. 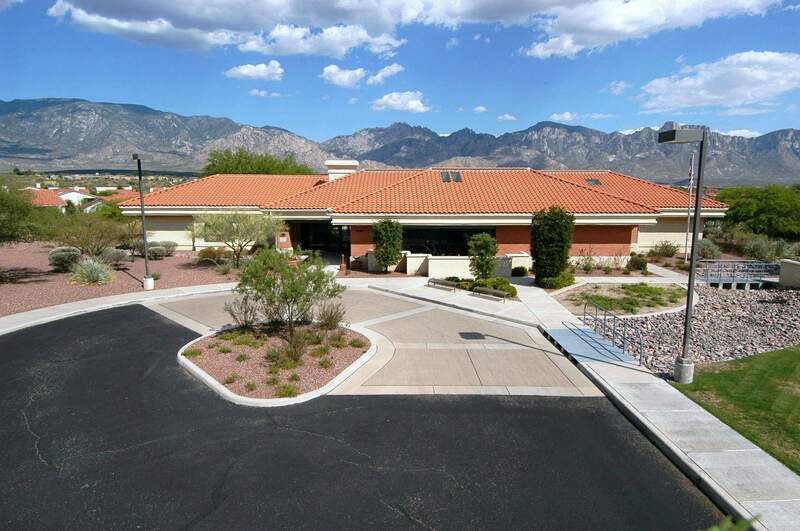 The courts are located near the Activity Center, mini-golf and picnic areas with great views of the Catalina Mountains. Club Use Monday, Wednesday, Friday 7 PM (May – October); 2 PM (November – April). Open play all other times. Welcome to The Views Restaurant. We are ready to meet your breakfast, lunch or dinner wishes. Order from our menu of fresh, made to order items. We take great pride in our food and customer service. We are happy to accommodate today’s special diets, including vegan and gluten-free. Whether you are dining in the restaurant or on the patio or terrace, enjoy the million-dollar views of the Catalina Mountains. Come on in! Let us do the cooking. The Views Golf Club is an 18-hole desert inspired championship golf course with breathtaking views in a picture perfect setting. Annual membership, monthly passes, punch cards and daily green fee play available. This rolling 6,759 yard, par 72 course offers multiple tee placements for golfers of all skill levels. Its design was created in harmony with the natural desert surroundings offering a beautiful view of the Catalina Mountains. To learn more about us, please click here. 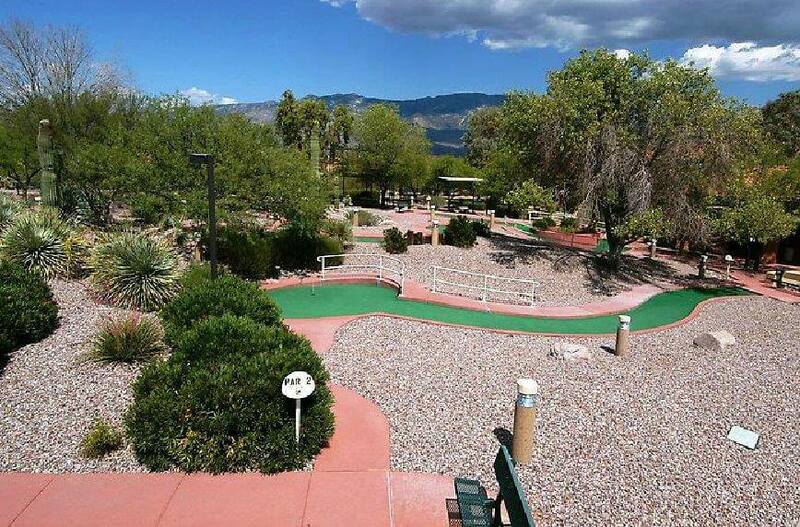 Especially fun when children and grandchildren visit, the 9-hole mini-golf course is great entertainment. Turns, twists and tunnels keep the game lively and, at times, laughable. The lighted, par 20 course is near the Activity Center, bocce courts and picnic area. Loaner putters are available in the Activity Center. 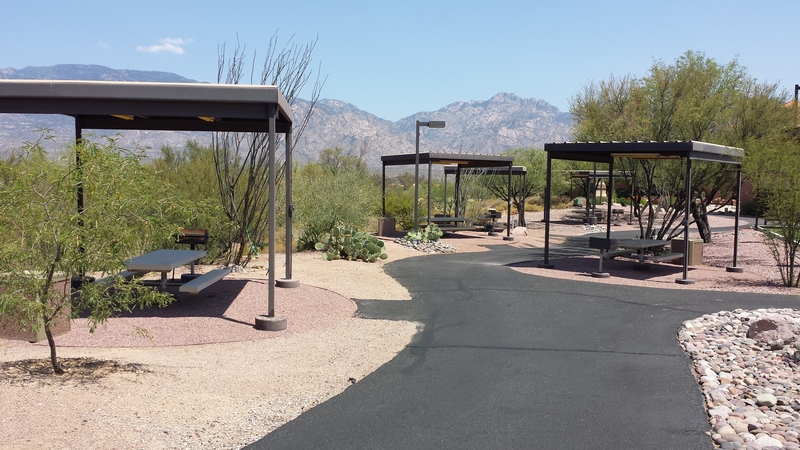 Spend a while eating, relaxing and taking in the mountain views at our picnic area. 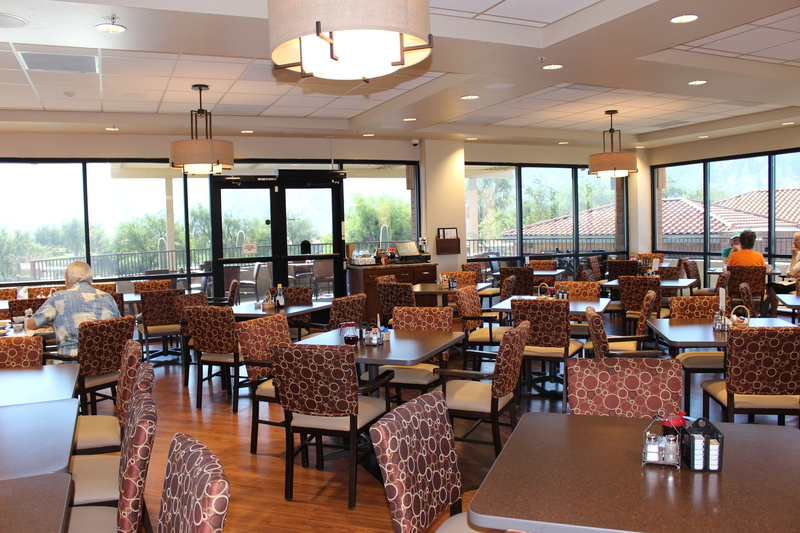 Each of the eight covered ramadas offers a picnic table, individual grill and lighting. There’s easy access from the golf cart path that winds through the area or the Activity Center parking lot. The picnic area is located near the Bocce Courts and Mini-Golf course. Grab your gear. 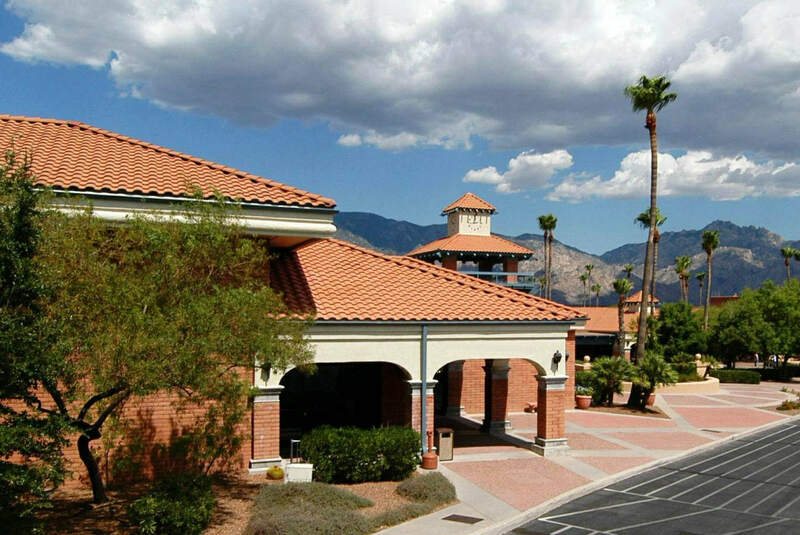 This adult lifestyle community offers you unlimited tennis and pickleball all year long. 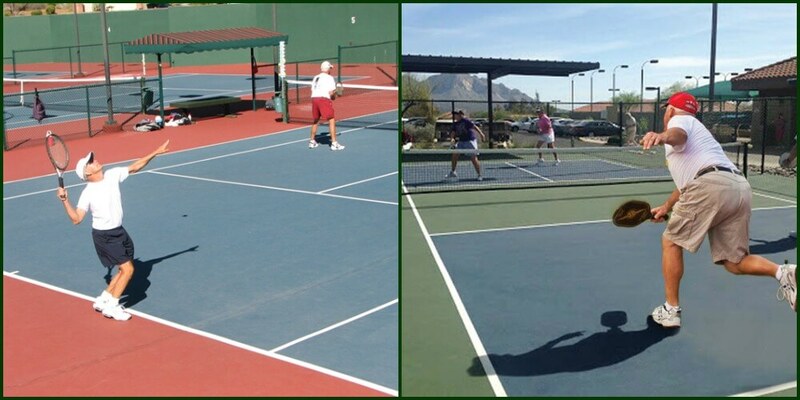 We have eight US Open post-tensioned hard tennis courts and five pickleball courts. All are lighted, so there is never an excuse not to play. Feel free to schedule your own match or join one of the teams. Make no mistake, this adult lifestyle community offers opportunities for every skill level. Along with all the social gatherings, you’ll be meeting new people while staying active. Even if, you’re new to the game or it’s been awhile since you hit the courts, you’ll find reasons to grab a racket or paddle. This is the place to be for concerts, parties, dance lessons, BBQ’s and more. 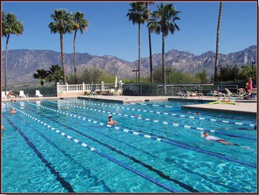 The Activity Center is one of the busiest places to be in Sun City. 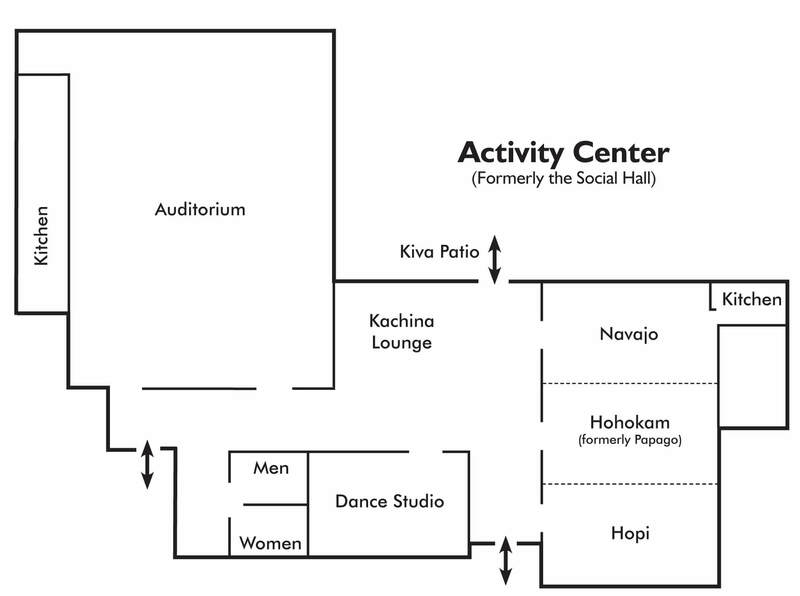 In addition to the Auditorium, Hopi, Navajo, and Hohokam meeting rooms, the Dance Studio can also be found here. If you would like to play a round of miniature golf, which is located nearby, you can pick up your clubs and balls here. After you game relax on the benches in the picnic area or enjoy a game of bocce ball all available for your use. If you’re in need of help finding a painter, handyman etc. the Consumer Referral Vendor list can be found here at the monitor desk. A bulletin board displaying For Sale, Wanted or For Rent items is located near the desk. Everyone has the opportunity to post items for sale as well as find the treasure they have been searching for. An artist’s haven where oil and water color painters, colored pencil, or sculptors meet. 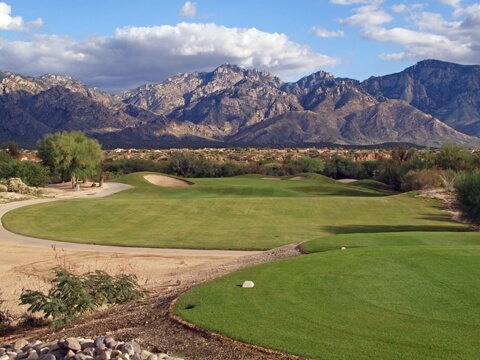 Friends and clubs may gather on our patio that overlooks a wonderful view of the natural desert wash and mountains. It’s the place to perfect your bank shot in our Billiards Room. Join in on some high energy table tennis and horseshoes, too! Into botany? There’s is a garden walk showcasing our desert flora and fauna. Did you know there’s a cactus called, “The Old Man”? You might find some card sharks here for a game of poker or listen to the strumming of the ukulele group. Out in the pool there are time of high activity with the water volleyball and moments of peace and tranquility as residents soak up the Arizona sun. We have two tennis courts in this facility as well as half basketball court to shoot some hoops. 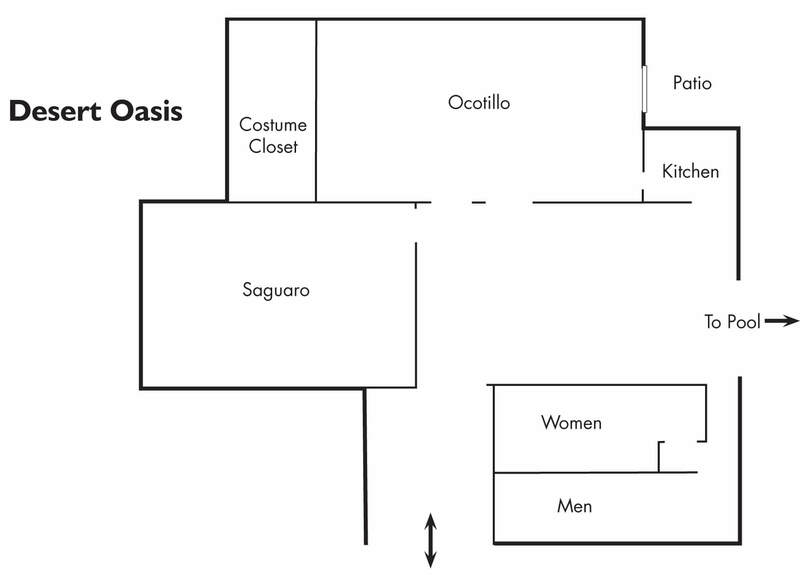 Looking to learn more about Sun City Oro Valley or schedule a tour of the community? This is the place! 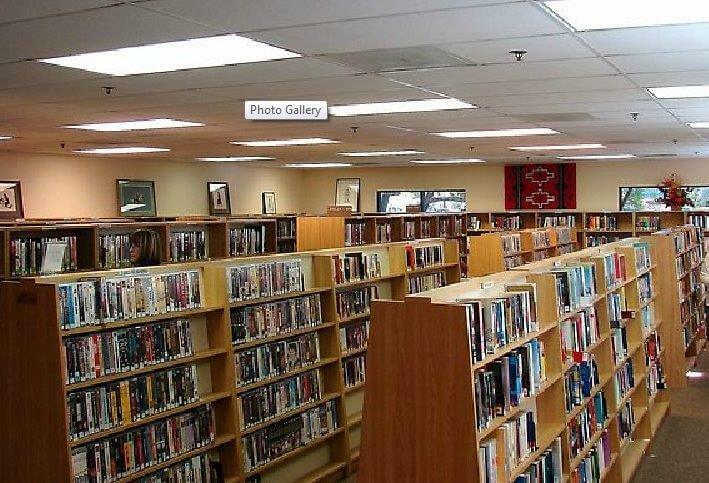 The library, computer lab and genealogy lab are located here, too. 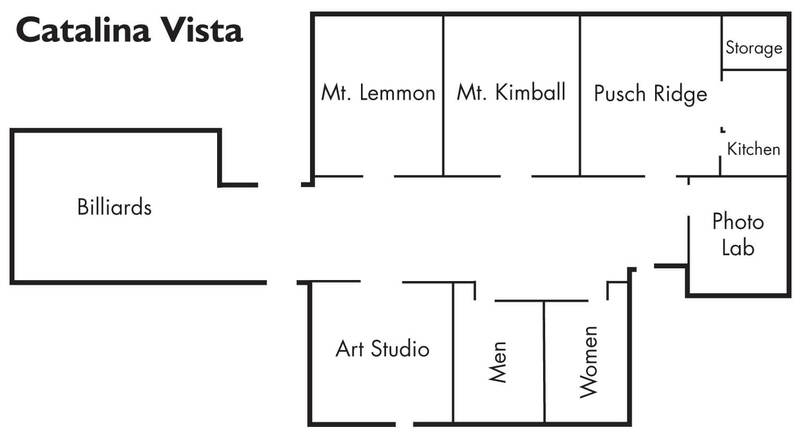 Residents and renters may pick up their facility use cards here, have their questions answered and purchase exercise class passes and tickets to community-sponsored events/activities.